I am trying to add a “LineArrowAnnotation” using a composite annotation. When I run my code (see below) I get an exception (also below). it will show the LineArrowAnnotation, but on the wrong place. ‘NaN’ is not a valid value for property ‘Y1’. 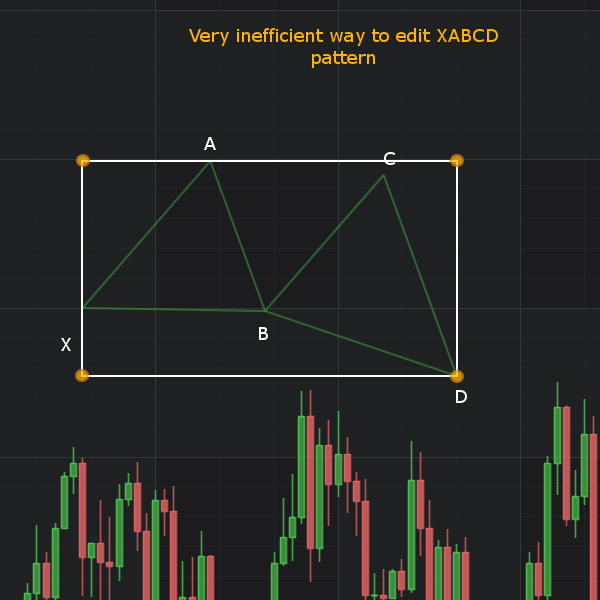 I am trying to create a XABCD pattern annotation. Currently, I am able to create the XA, AB, BC, CD legs using LineAnnotation then add the two remaining XB and BD lines programmatically. However, when creating the LineAnnotations, I am not getting the real-time feedback between the 1st and 2nd clicks. I have full source code but from what I can see, all SciChart annotations are at most, limited to 2 clicks. 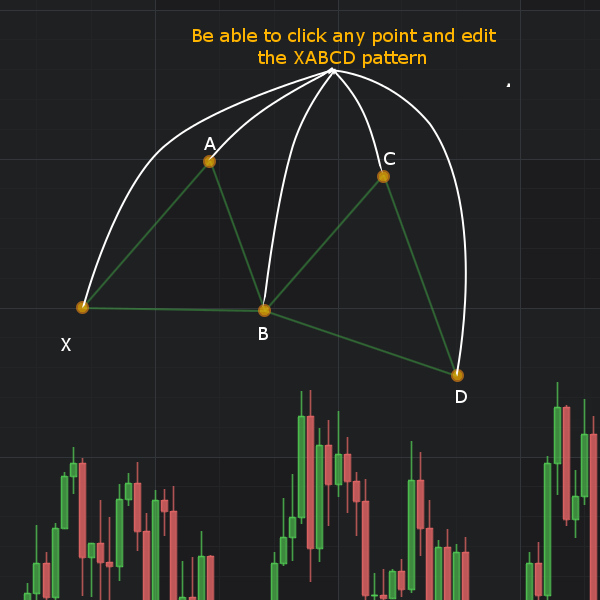 I’ve read through the Fibonacci composite annotations which are close to what I’m trying to achieve but only allow interaction by 2 clicks since they’re based on BoxAnnotation. I am currently using full MVVM with a custom derived class from AnnotationCreationModifier per this article: Editing annotations and keeping track of them in an mvvm application combined with the Multi-Pane Stock Chart example. For the PatternAnnotationViewModel, I am using dependency properties for X, A, B, C, D so they are bindable if needed. I created CompositeAnnotation consisting of several elements (VerticalLineAnnotation). I set visibility CompositeAnnotation to hidden but does not work.